After a busy week in Dallas, I am SO happy to be back home in Starkville! Last Monday, I travelled to Dallas to work at the apparel market for Karlie Clothes. I usually work the market in Atlanta, but got the opportunity to go to Texas instead. Like I have said before, I LOVE working for Karlie just because they have the sweetest employees and always make market a great time! (Not to mention the amazing pieces in their line each season) From the first time I bought their clothes 8 years ago to now, Karlie is still one of my absolute favorite brands! 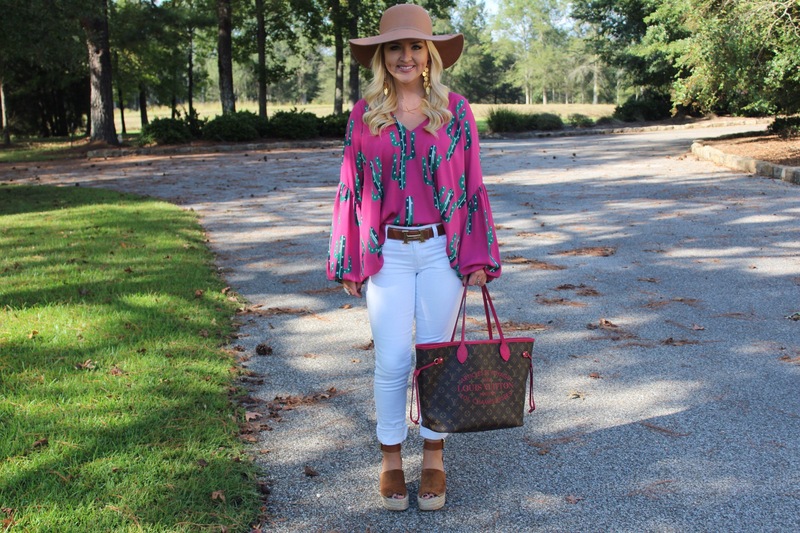 Bright colors and fun patterns make up 95% of my closet, so this hot pink cactus print top was a no-brainer. 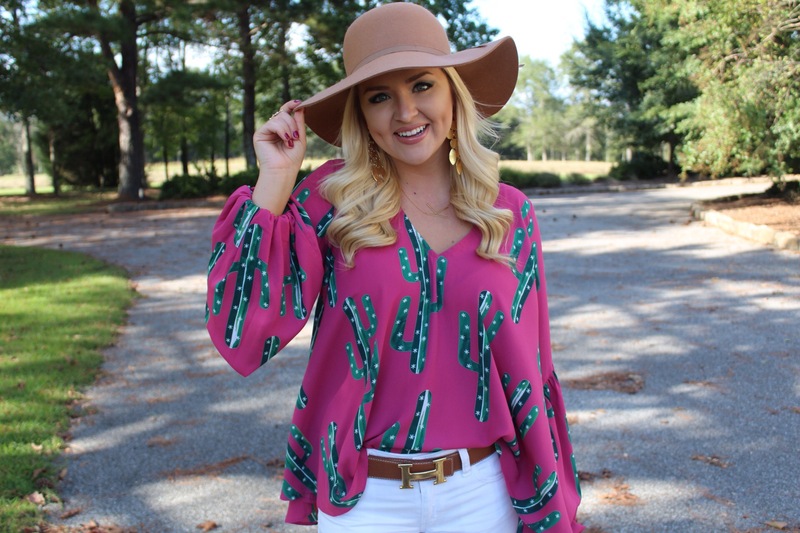 Plus, cactus print has been making a huge statement this fall to create a trendy western vibe. 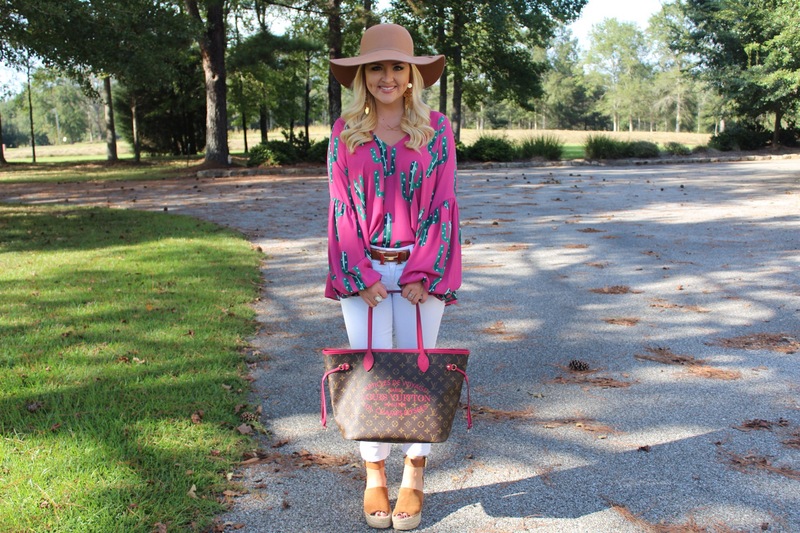 The brand of my top is Izzy & Lola, a line carried by Buddy Love that incorporates a more bohemian style verses their main line. Buddy Love continually produces bold statement prints from season to season, and their products for this fall followed suit. The best part?! My top is now ON SALE! 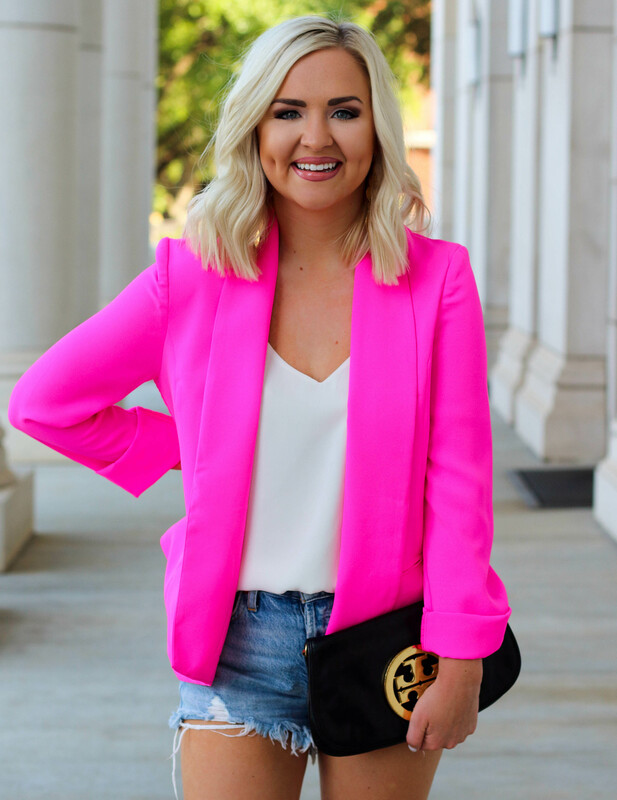 (The website is linked) I paired it with white skinnies and my favorite wedges, which are currently fully stocked on Nordstrom! 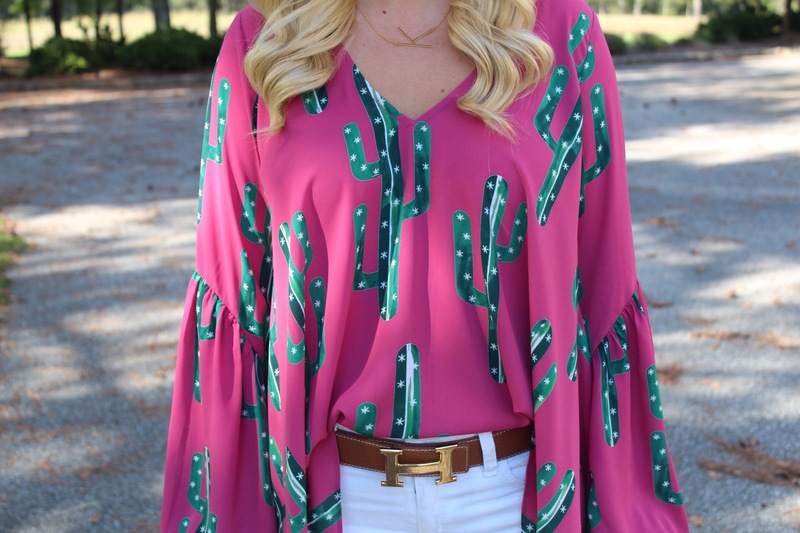 I also linked some other cute cactus print pieces in the carousel below.